Even the most insulated garages can prove hazardous in the winter. From carbon monoxide, to frozen garage doors, the average household garage can quickly become dangerous if left unchecked and unmaintained during the winter. If you are hoping to keep yourself and your family safe for the remainder of the season, pay attention to these common cold weather garage safety concerns. 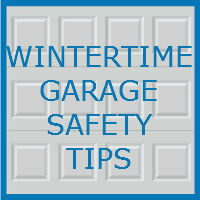 What Is Safe to Store In a Garage during the Winter? Most Americans use their garage for multiple purposes, with one of the most common being household storage. The garage is a perfect place to store those odds and ends items that did not find a permanent home inside the house, but what items are risky to leave out in the garage during cold months? Paint: People commonly store cans of paint in their garage, but both summer and wintertime conditions can damage paint. Cold temperatures will cause your paint to not last as long, and paint cans stored on cement floors tend to run faster than cans placed on a shelf or another surface. Canned Food: Canned foods and other canned items like sodas can easily freeze in cold conditions, and should not be stored in garages that are not climate controlled. While frozen canned food can be thawed, the quality is diminished after freezing. Garage specialists also suggest avoiding storing food in garages due to the possibility of attracting rodents, which could lead to health issues. Electronic Items: Extreme cold can be damaging to household electronic items like televisions, computers, and DVD players. Refrigerators: When people replace a refrigerator within their home, they frequently send the old one to the garage. While having an extra fridge and freezer in your garage is great for storage, cold weather can cause issues. When temperatures outside become colder than the interior of your refrigerator or freezer, your appliance may stop working, and your goods may sour or thaw. Any Equipment with Water: If you have a power washer or another tool that uses water, use caution when storing them in the garage. Anything with water could freeze, meaning that your power washer could crack or burst. Many people are surprised to learn that garage doors can quickly become problematic during the winter. Not only can they freeze to the ground, making opening and closing difficult, but cold temperatures can cause the screws, springs, and other metal parts found within your garage door to expand and contract. This can lead to your door failing to open or close properly, and can be a hazard to you and your family. Specialists say to combat this, be sure that all the parts within your garage door are lubricated, and that the area underneath your garage door is kept clear of snow and ice. Storing your vehicle in your garage, while beneficial during the wintertime, can be dangerous if proper safety precautions are not followed. Carbon monoxide is an extremely dangerous toxic gas produced by engines found in cars and trucks. The gas is odorless and invisible, and the average car can produce a deadly amount of carbon monoxide in only a few short minutes. While starting your car in your garage may seem like a good idea, allowing carbon monoxide to build up in an enclosed space can lead to dizziness, flu like symptoms, immobility, and death. In fact, in under ten minutes the gas can reach fatal levels. Poison specialists say even with the garage door open, a car should not be left running within the space. Garage owners should instead start their vehicles and immediately get them outside. This way, the garage does not fill with the toxic gas, which can also easily seep inside a home. While these are just a few potential dangers your garage could pose this winter, it is clear that proactive garage maintenance and repair can help reduce any danger to your family. 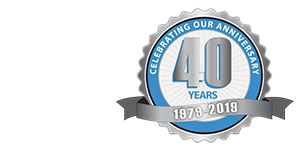 At Blue Sky Builders, our garage specialists are available to inspect your garage and alert you of any dangers. We can also recommend when upgrades are needed, and have affordable options for remodeling and rebuilding. We also offer creative garage design and storage ideas to help you better use your space. Contact Blue Sky Builders online or at 630-852-8485 to learn more about our services today.